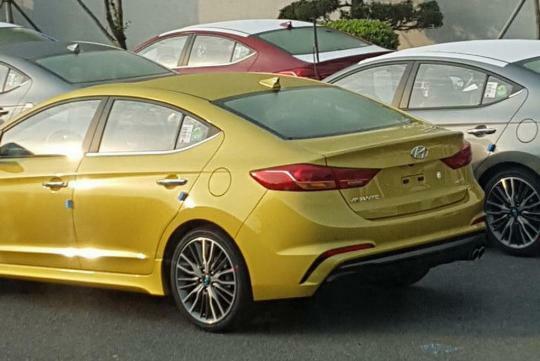 Hyundai’s upcoming Elantra Sport has been spotted in South Korea without any disguise. Posted in Bobaedream forum, Korean Domestic Model rides on a lowered chassis and comes with newly designed front and rear bumpers. 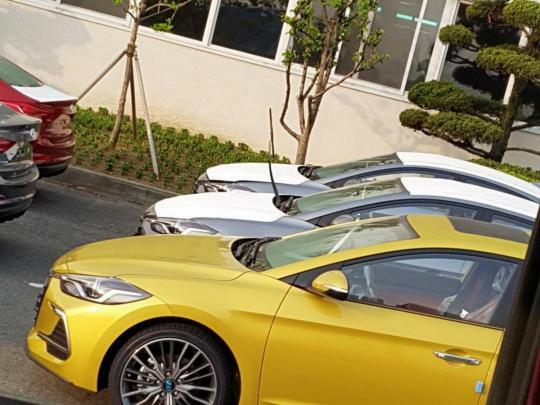 The car also features new side skirts plus slightly different head- and tail lamp fixtures. Being a sportier variant, larger wheels and tires were spotted on the car too. The powertrain has not been revealed yet but it is believed that the car will be getting the company’s 1.6-litre turbocharged four-cylinder that pushes out 200 or more horses. It should be paired to a seven-speed dual clutch automatic. Expect the handling of the car to be better with the retuned suspension and stronger brakes. As sg get the same gama 1.6 for the new model, will we get the 1.4tc (normal spec overseas) as sports spec for sg?. I would imagine it to be a dream to own but a nightmare to insured as the mass majority would be buying the bread and butter line. and base on % of accident for that model, if there is only 10 units and 3 got into accident. It would hike up the insurance rate for the following year. This is a very niche product here. It will sell only if it has a different body like the Tuscani or Koup.